We are pleased to announce that Mørso Dealers Ireland has partnered with Jenny Bristow to promote the latest Mørso outdoors range of products. 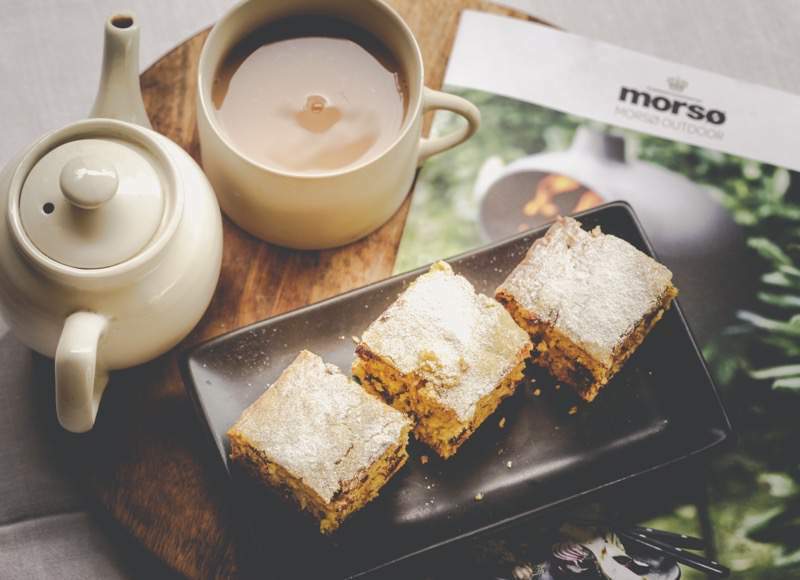 Morsø have a long established, well renown brand that spans over 160 years and are delighted to be partnering Ireland’s much loved and respected chef Jenny Bristow. 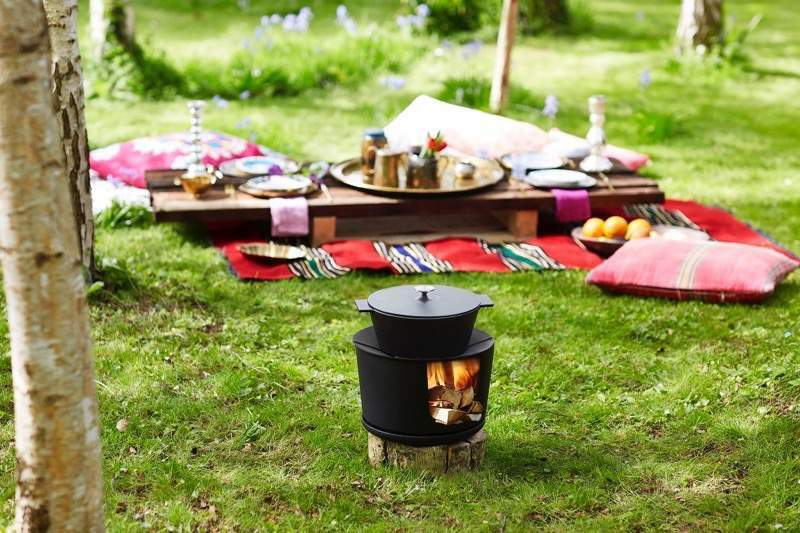 In 2013 Morso increased their portfolio of products from indoor heating stoves to begin work on its critically acclaimed outdoor living collection. This began with the iconic Morsø Forno Oven and Morsø Forno Grill. 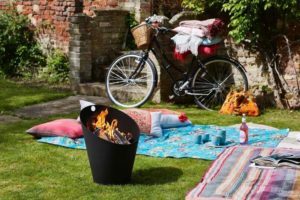 Since then, due to its enormous success the range has now grown considerably and continues to do so with new table top grills, the Kamino (chimenea) , Ignis (fire pit) ,fabulous branded accessories and a full range of cast iron Cookware. 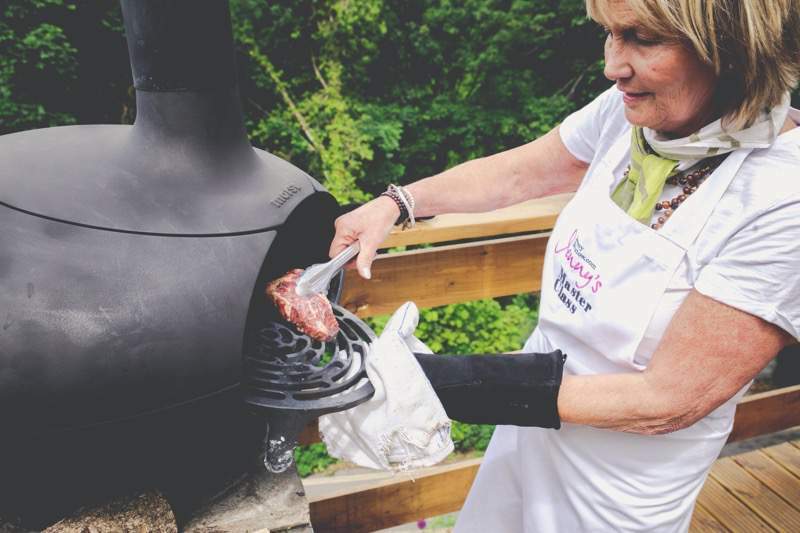 With Jenny’s passion for the Morsø cooking products and ideas for recipes and cooking outdoors for all seasons the partnership is looking to be an new exciting venture by both and lots of good food, fun, events and recipes ahead. This is perfect timing as the ‘outdoor living’ culture is sweeping Europe, the UK and Ireland . 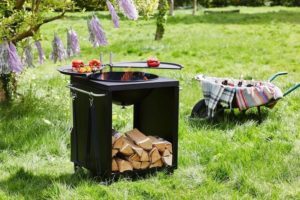 There was never a better time to move your kitchen outdoors embrace the elements and enjoy the fun of cooking Al Fresco. 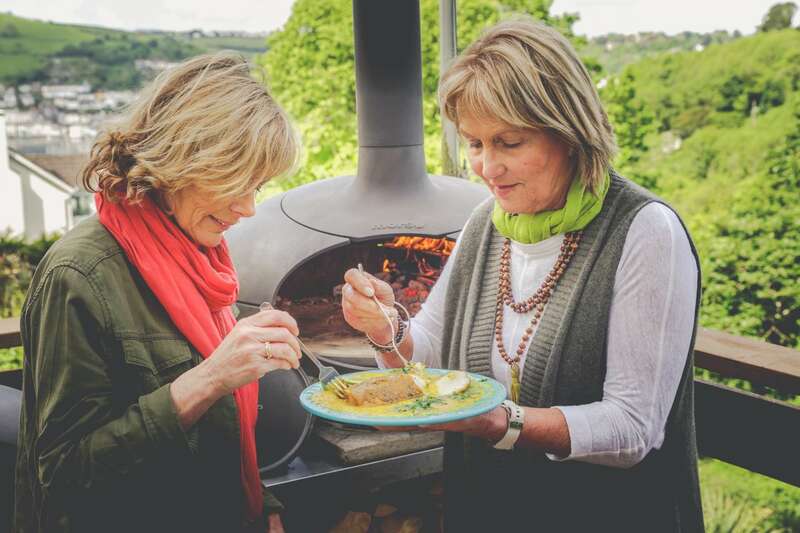 Jenny Bristow is one of Ireland’s most celebrated TV chefs and cookery writers, whose cookery programmes have travelled the world. Jenny’s success lies not only on the highly acclaimed cookery programmes, which made her a household name in Ireland, but also, as a successful best selling author of 12 cookery books, and reaching the Sunday Times No.1 best selling author. 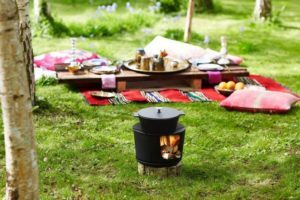 With Jenny’s passion for the Morsø cooking products and ideas for recipes and cooking outdoors for all seasons the partnership is looking to be a new exciting venture by both and lots of good food, fun, events and recipes ahead. Luckily, we are not the only one to feel the excitement of this functional and sculptural outdoor product range. 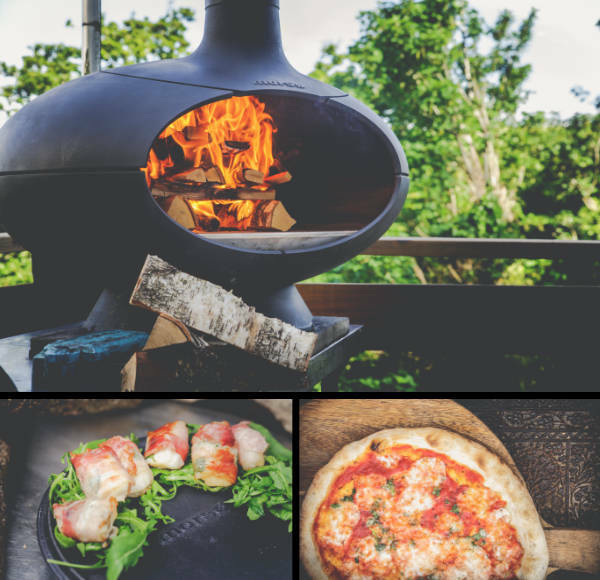 Recently the grill and pizza oven, Morsø Forno, won the “Interior Innovation Award for Outdoor Products” at the German IIA Award 2013. 1. Oil and season the steaks. 2. Here are two ways to grill a steak in your wood fired oven. In each case cook the steak on both sides to your desired state of cooking. a) In a cast iron griddle pan or on a griddle plate. Allow the pan or plate to heat to smoking point then slap on the steak. Turn once. This is the fastest method so watch the steak like a hawk. 1. Line a 24cm round cake tin with baking parchment. 2. Melt the butter and sugar together in a saucepan on the hob. 3. Mix the banana with the eggs and vanilla extract. 4. Mix the chocolate with the flour. 5. When the butter has melted and the sugar dissolved, cool for 3 minutes before mixing everything together in a large bowl. 6. When mixed, put the cake batter into the cake tin and bake in the oven at around 200C with no fire until a skewer comes out clean – about 30-35 minutes. 7. Cool and serve with a cup of tea or cut whilst still warm and serve with vanilla ice cream as a pud. If you would like more information about any of the products you have seen, please get in touch with us using the contact form. Morsø are currently releasing a Brand New Outdoor range so if you would like a brochure etc. or more details on when or where you can find them, leave your details using this contact form and we will get in touch.